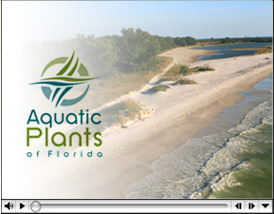 MARINELAND, FL – August 5, 2014 – Aquatic Plants of Florida, Inc. today presented at a conference focused on plant selection for coastal restoration in the era of climate change, Tuesday, August 5, at the University of Florida’s (UF) Whitney Laboratory. 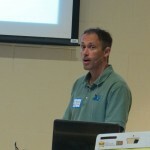 Workshop participants included natural resource managers, nursery industry professionals, researchers and educators. The event was convened by UF IFAS and Sea Grant Florida to address how climate change may require coastal and land managers to re-think their plant selection process. Researchers at UF explored the need to propagate different genetic strains or different plant species to provide plants for restoration that are adapted to climate change. Presentations at this workshop included an overview of climate change science, approaches to sourcing plant propagules for restoration and conservation, ecotypic differentiation, impacts of climate change on sea oats, salt marshes and mangroves, ecosystem services valuation and permitting issues. Case studies were presented. 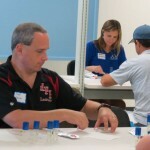 Attendees participated in a hands-on sea oats plant propagation activity. Breakout sessions allowed participants to provide input for a white paper on the topic of plant selection for coastal restoration in the era of climate change.